Our greenhouse opens in early May and is full of bedding plants and hanging baskets of all sorts just in time for Mothers' Day. We also have a wide variety of vegetables and herbs, and much more! 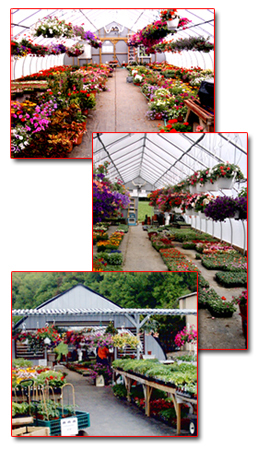 Including an assortment of pots, mulch, potting soil, fertilizer's, etc.